The Spinduction Induction Kinetic Welding Process – A Revolution in Solid State Welding Technology. The Spinduction Process represents a step change in quality, speed, simplicity, and cost while opening up new opportunities for our clients that were previously unavailable due to the limitations of conventional welding processes. Spinduction Weld Inc. was formed around a novel solid state joining process. The welding process uses a combination of induction heating and kinetic energy to join two workpieces, without the use of filler materials, or solid-to-liquid phase transformation. The welding sequence itself is typically completed in less than ten seconds. The resulting joints are flawless; free of porosity and inclusions, and free of flash, notches, and stress raisers as backed up through customer non-destructive testing (UFD, X-Ray, PAUT, DP, etc). Typical joints appear as a smooth “crown” at the weld plane, however, the Spinduction Induction Kinetic Welding process can accommodate various crown profiles ranging from convex to concave, and even flush as crown geometry is controllable. A wide range of materials are suitable for Spinduction Induction Kinetic Welding, however the main focus is on carbon steels and titanium and its alloys. Both materials respond exceptionally well to the joining process, and a large number of different alloys and compositions have been tested and verified. Joint properties are excellent as the material is kept below melt, reducing the severity of change of the grain structure, resulting in near parent material properties. In some cases, parent material properties can be improved upon. Spinduction Weld Inc. offers complete, turn-key, fully automated welding systems. Research and development is offered to solve joining problems not addressed by any other technology available. Current applications, with customers using the Spinduction Induction Kinetic Welding process, include oil and gas, automotive, and aeronautical manufacturing industries. Spinduction Weld Inc. was incorporated in 2001 by our founder and Chairman, David G. Lingnau headquartered in Calgary, Canada. Dave’s vision was to develop and commercialize a revolutionary new welding process based on the principles of induction heating and kinetic energy. Our mission is to increase our client’s productivity, quality, safety and profitability through the innovative application of Spinduction’s unique solid state welding process to the client’s business. In the early years, Spinduction attracted a talented team of engineers and embarked on an intensive period of research and development which led to the company’s first commercial machines that were designed and built in Calgary and then placed into industrial operations in both Canada and the USA in 2011. These early prototypes provided critical real world learnings that were incorporated into the new machine designs that are used today. During recent years, the company has been working with several of major global companies in a wide variety of markets to adapt and commercialize the technology for their unique applications. These applications run from traditional manufacturing to pipelines to oil and gas drilling and production. Over the years, the company has learned that the many advantages that the Spinduction process presents for our clients lead to virtually limitless applications. Going forward, Spinduction is executing our strategy to globalize the Spinduction process by continuing our technology development efforts and working to customize the process to the specific needs of each client. This work is led by our sales and marketing team who works with the clients to understand their needs, qualification criteria and desired benefits. They are supported by our engineering and manufacturing team in Calgary who perform all of the required qualification tests, issue the necessary reports and then execute the design , building and commissioning of the Spinduction machines. The Spinduction process is truly unique in the world today. It represents a step change in terms of quality, speed, simplicity, and cost while opening up new opportunities for our clients that were previously unavailable due to the limitations of conventional welding processes. Spinduction’s unique, fully automated process can be used in factory and mobile applications, for cylindrical tubular parts, and combines high-efficiency induction heating with a kinetic cycle to provide a full-circumference weld in less than 60 seconds, regardless of material, diameter, or wall thickness. 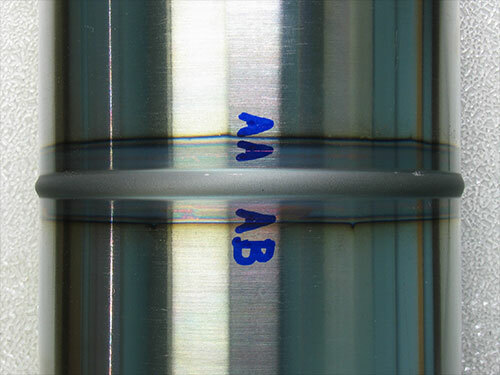 The resulting weld is flawless by the latest NDT measurements, homogeneous, and can be performed on net final-shape components without post-weld machining. Additionally, by controlling weld parameters, the resulting weld properties can be varied to best suit the application’s requirements. The patented Spinduction process has been accepted by several major industry leaders with current applications operating successfully in the axle manufacturing, piston manufacturing and oil field equipment industries. With its excellent scalability and mobility, the welding process offers substantial benefits to a wide range of industries. The superior mechanical and metallurgical characteristics of the weld make the process well suited to applications in which joint quality is critical. Minimal required work-piece movement makes the process well suited to large and heavy wall applications as well. Dual concentric welds are also possible, opening design options to product engineers. Spinduction currently offers three welding systems intended for circular-geometry welds from 2” (50 mm) through 12” (305 mm) OD, and a tubular weld face area of 0.42 in² (270 mm²) through 48 in² (31,000 mm²). The Spinduction process is a breakthrough in the welding industry with limitless applications across many industries. The process can handle a large variety of materials and has been successfully tested on a wide range of carbon steels, alloyed steels, titanium and titanium alloys; a selection of these materials is listed below. Please Contact Spinduction if your application specific material is not listed. The following Spinduction Welding Systems are Available for Purchase, Lease, or Contract. Contact Spinduction for details.